The way our homes look is often at the front of our minds at this time of year – partly because we want to take part in the enjoyment of Christmas, and partly because – as a result of that – we’re often expecting guests! Chances are, you might well want to bring the festive season into your space in a wide variety of ways. Here are just a few fun ideas that you might be able to use for when the season is underway. Start by considering the colours that are always tightly associated with Christmas: The holly shades of berry red and deep leafy green, for example, as well as gold, silver and snowy whites. There are various methods you can use to get these shades working for you. For example, a small picture frame can easily be painted in a Christmassy red or green, then used to display a photograph you’ve taken of a snowy scene. Talking of frames, Christmas art can be a great way to capture a sense of the season. Snowy scenes, frosted berries or anything else with a festive theme, framed and put on the wall, will bring Christmas into a room in a way that truly reflects the way you like to season to look. In the bedroom, you could turn to bedding that incorporates festive shades as a way of helping add to a Christmas colour scheme. And remember that not everything in a Christmas-ready room needs to reflect traditional Christmas imagery for the space to work well. Even the summery-feel of floral bedding such as these examples from Curtains & Curtains needn’t look out of place. You can pick and choose which elements of a space reflect the Christmas theme! However, if you wish, why not look into curtains which use Christmassy colours? You could invest in a special a pair that you use just for the festive season, for example. Then there are ways of bringing that little bit of magic to your rooms, such as by using fairly lights that will alter things in a way that’s certainly Christmasy, but can also very much be subtle. 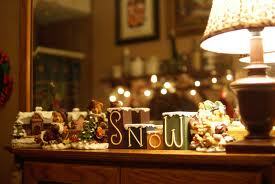 And there are other little touches that you can use in rooms that evoke Christmas, too. For example, you could use red, green, white, silver and gold candles to bring some extra, beautiful shimmering light to some of your spaces – even when they’re not lit, these can look festive. The right colours of cushions or throws for a sofa will mean it looks Christmasy. And then you can simply put these away for next year when January comes or, if you think the look would work throughout the year, keep them in place. When Christmas is on the way, people can sometimes have mixed feelings about the season, but if you embrace it in a way that is right for you, you’ll likely find you enjoy it all the more – and the same goes for decorating a home at this time of year. We all have different tastes – and we very much hope you enjoy the season, however you choose to spruce your house up for it!